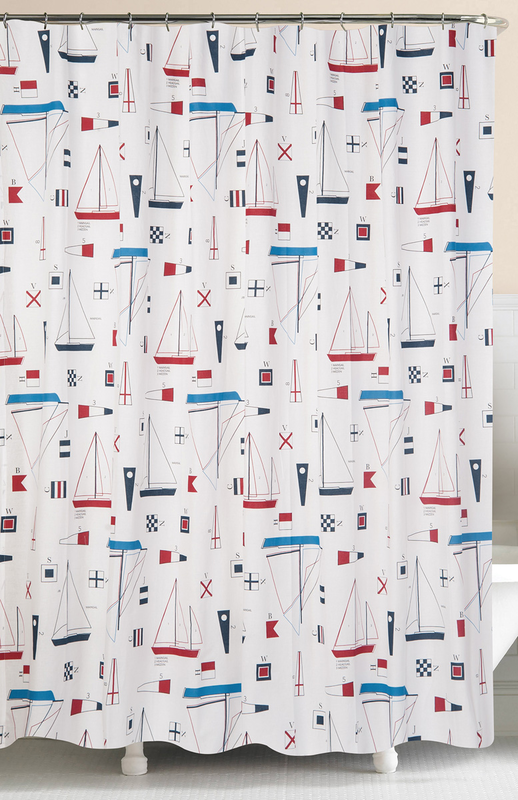 Bring nautical style to your bathroom with the Sailing Seas Shower Curtain. This beach shower curtain has colorful sailboats and flags in white, red, navy, and bright aqua blue. Ships from the manufacturer. Allow 1 to 2 weeks. Cannot express ship. For more offerings, we ask you to spend some time to look at our thorough range of beach shower curtains at Bella Coastal Decor now.